A clamshell is a one-piece container consisting of two halves joined by a hinge area which allows the structure to come together to close. 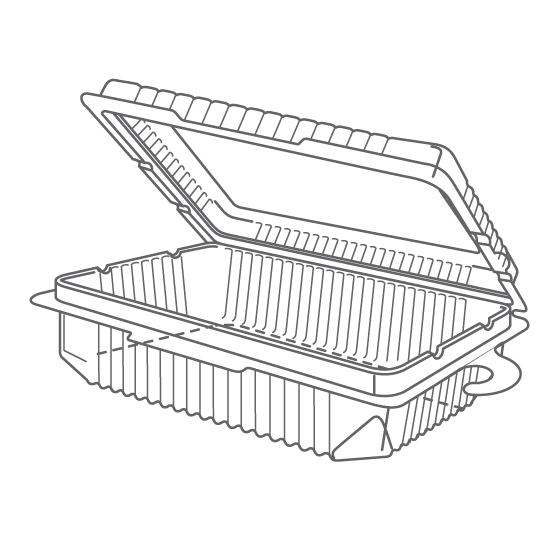 Clamshells are often made of a shaped plastic material, in a way that is similar to a blister pack. The name of the clamshell is taken from the shell of a clam, which it resembles both in form and function. 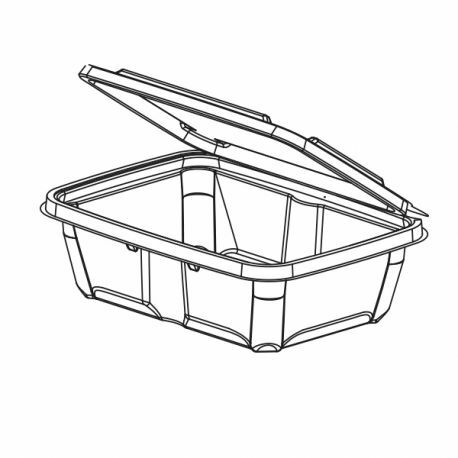 Clamshell containers can be made of a variety of plastics such as polystyrene, polyester, PVC, foam sheets, etc. 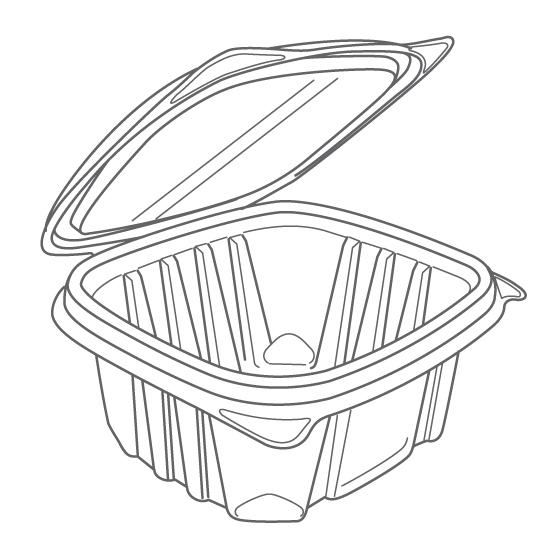 The material can by made by thermoforming or can be injection molded into the desired shapes. A single piece of material is used for the top and bottom with a "living hinge" that is integral with the material, rather than added separately. With a large number of shapes and sizes to accommodate virtually any product type from fishing lures to craft beads, fasteners to cell phone accessories, our stock plastic clamshells offer a custom packaging look and feel with short lead times and no tooling costs. Whether hanging on a peg or standing on a shelf, our clamshell packaging merchandises your product in the best possible light with superior hinge strength, tight seals, high clarity and eco-friendly options.